Since 2018 was the year of the battle royale, it’s only fitting to end it with a mod that makes one of the most chill games of the past few years into a murder fest. 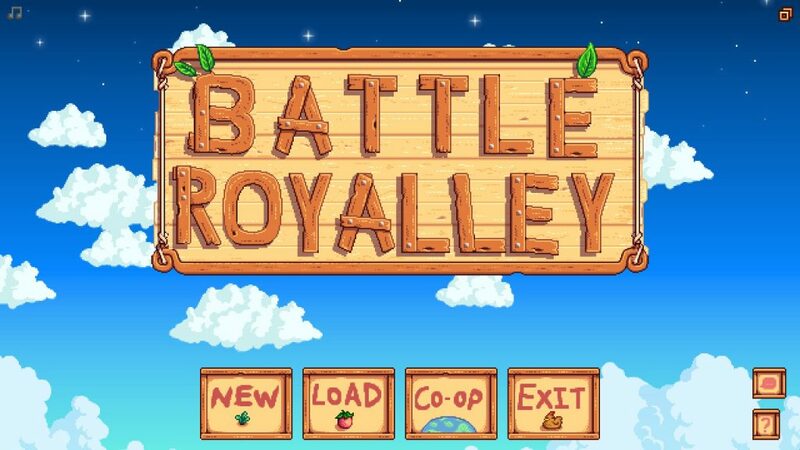 At least, that’s what the authors of Stardew Valley’s Battle Royalley mode thought. The mod was released on Nexus on December 30th, and it perverts the multiplayer code so that you can join up to 99 farmers in the now-iconic town and vie for dominance not by tending to crops and milking cows, but by murdering each other in cold blood. A gift to agriculture aficionados everywhere, the mod was created by one Ilyaki, and you can grab it here. If you want to join a game, all you have to do is install the mod and join a server that uses it, either by using an invitation code or the host’s IP address. Hosting is similarly simple, but you can also set the maximum number of players allowed in a game. There’s no mention of an upper limit for player slots, so you could experiment to try to get the perfect setup. As for how the game plays out, it’s really what you’d expect – a bunch of players get scattered around the town and surrounding areas and try to murder each other. At their disposal, they have swords, slingshots, bombs and healing items, as well as horses and hats. Hats are important. You’ll find these in chests that’ll spawn randomly around town. You’ll also get the chop down trees and use the lumber to craft fences which act as cover. The map’s border shrinks over time, forcing players to congest in a small space for the dramatic finale. According to the Nexus page, only about 200 people have downloaded the mod so far, so you might have some trouble finding a heavily populated server, but spread the word and the faithful shall flock around it.